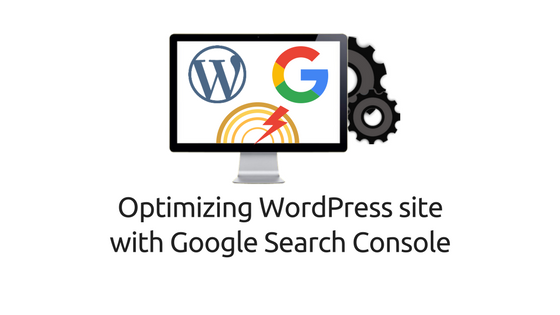 How to Optimize WordPress site with Google Search Console? Whether you have a blog or an eCommerce store, optimizing your WordPress site has always been your top concern. You want to make sure the site is running smoothly and want it to rank well in SERPs(search engine result pages). When you have launched a new website(or are about launch), one of the few things to do is to setup analytics tools for your website. These tools help you monitor website traffic, reports, site performance and so on to improve your customer experience and also find ways to increase your website traffic. One such essential tool is the Google Search Console. This tool helps you track site performance, site errors, backlinks, and high ranking search queries (also pages) of your website, to name a few. It also helps in tweaking certain aspects of your website that will influence how your web pages appear in the Google SERPs, that will probably increase your chances to rank higher in relevant search results. The tool has a lot of features and Google keeps modifying the tool to keep itself updated with its search algorithm. Lately, Google has been beta testing its new interface, which has rolled out to almost all of its users by now. In this article, I’ll discuss the 7 most important tips to optimize your WordPress site with Google Search Console. 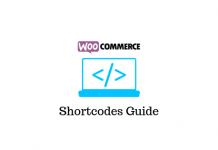 These tips can be used regardless whether you have a WordPress blog or have created an eCommerce store using a plugin like WooCommerce. Sitemaps are used to let search engines like Google and Bing know of all the web pages of your website. It is basically a file that is submitted to search engines. Consider sitemaps as a leaflet handed to you in a convention. The leaflet provides the information of the booths and also helps you locate them in the hall. In the same way, web crawlers like Googlebot and Bingbot crawl sitemap to understand the type of web pages on your website and whether they are easily accessible to the users or not. Google recommends sitemaps for large websites, websites with rich media content and external links. Whether or not your website falls on this list, it is always recommended having one. For a standard sitemap, it is always recommended to specify your webpage titles, alt text for images, meta description, and meta tags. 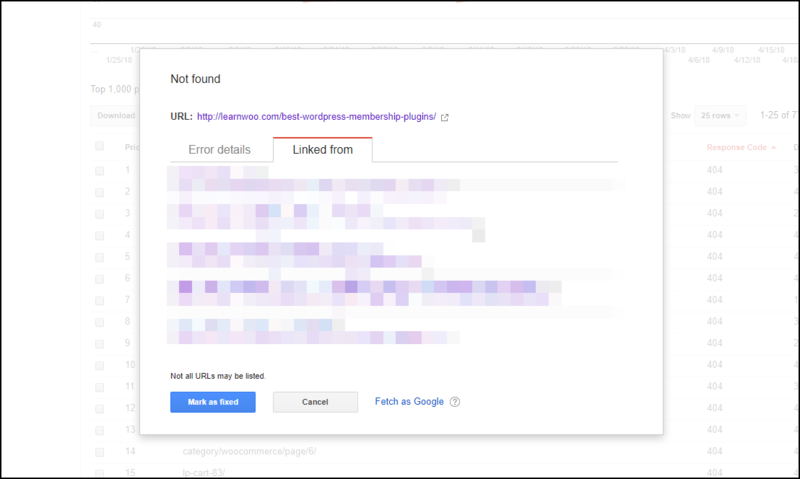 Login to your Google search console account. On the left sidebar menu, click on Crawl > Sitemap, as shown in the screenshot below. Next, click on Add/Test Sitemap button located in the top right corner to add a new sitemap. But wait, I don’t have a sitemap! To generate a sitemap for your website, you can make use of any sitemap generator tools. If you are using Yoast SEO plugin for your WordPress site, the plugin automatically creates a sitemap for you. To see your website sitemap, navigate to “www.mywebsite/sitemap_index.xml“. Following is the screenshot of a sample sitemap. For more information on sitemaps with Yoast SEO plugin, refer here and here. One cool advantage of submitting a sitemap is that increases your chances to show Sitelinks in the search results. Ever noticed some search results have subsidiary links to their website? This results because Google shows some important links of your website in the search results that might be relevant to the users. One important point to note is that the Sitelinks keep changing based on search relevance. Sometimes you may not get Sitelinks at all. Hence, it is totally up to Google to display Sitelinks or not. P.S. I am not suggesting that these search results occur only because of sitemaps. There are various elements involved that should fall under Google search algorithm and it occurs naturally based on users’ search relevance. But having a sitemap does increase your chances, as Google knows the type of information your website contains. If you wish to restrict certain pages to not be crawled by Google, you can specify these URLs in the robots.txt file. Especially in WordPress, if you are unpublishing a post or a page for some reason, or your site is under development, you should specify these URLs in the robots.txt file to notify Google about unnecessary crawls for the given URLs. This helps Google crawl only required pages and you won’t run out of your crawl budget. Once you have updated your post/page, update the robots.txt file to allow crawling. This practice helps you avoid bad impression from Google. One important tip to remember is to create search-friendly permalinks in WordPress. A good practice is to keep your permalinks short, definitive and structured, and keep your individual post/page URLs relevant to your niche/subject. This helps Google easily understand your page URL and shoot up your page in the search result. Also, you should avoid using duplicate URLs, as this will confuse Google to choose which page to show in the search result. Eventually bringing your website credibility down. To edit your robots.txt file, go to Crawl > robots.txt Tester. To create a robots.txt file on your own, read this article. Tip: Another way for avoiding unnecesary crawls is to inlude “rel=nofollow” tag in each URL. The Search Traffic section lists some useful options that show insights related to search traffic, queries that led users to your site, your high ranking web pages, backlinks, internal links and so on. 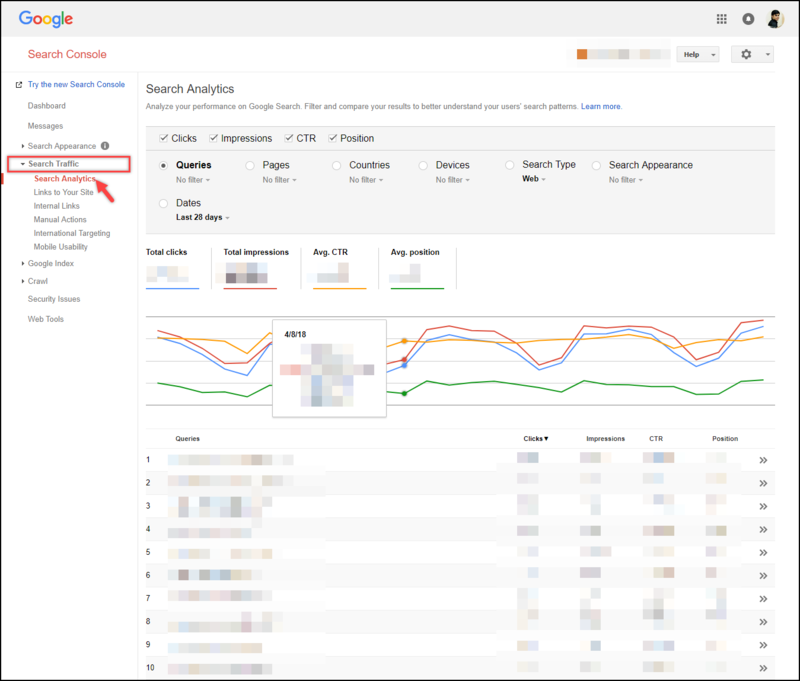 This search analysis includes the total number of clicks, impressions, CTR(Click through Rate), and the current position of the given query or page. You can customize your view as required using the given filters. One way to use this data for optimization is to check for pages with high impressions that have low CTR. In such cases, you can update the article with more relevant keywords (do not overstuff it), the page title, alt text for images, meta description, and meta tags. This section shows the statistics about all the pages that are most linked, all the websites from which you are getting a backlink and how all these data are linked. You can make use of this data to see the most linked content and check the domain authority of the linked website. If the website falls under your niche and the domain authority is higher, you can consider optimizing that page/post by removing unnecessary content and updating more relevant content to it. This will help you to present your content to a new audience that might lead to a conversion your website. 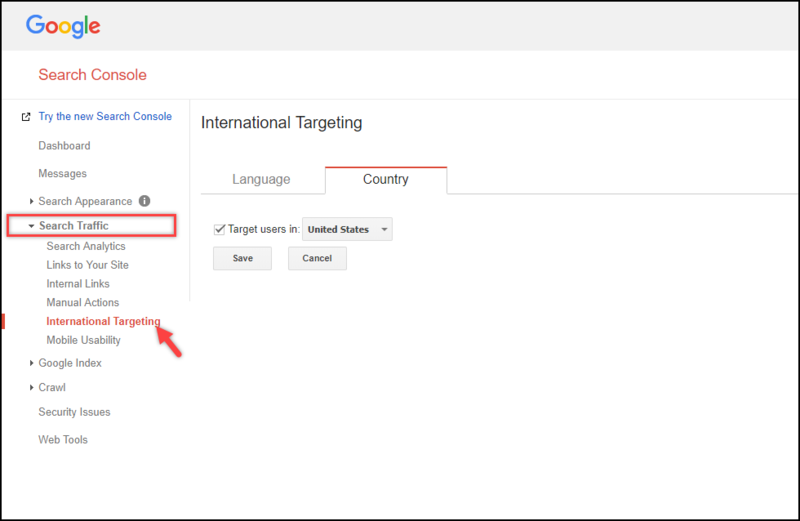 If you are offering your eCommerce store facility only to a certain region, or your WordPress blog has a regional nice, you can make use of International Targeting setting to target people based on language and location. This helps Google show your web pages to the only specified audience, saving a lot of time and crawls. As the name suggests, reports all the blocked resources of your website. To index your web pages properly, Googlebot needs access to all resources of your website. If you have blocked certain resources in the robots.txt file, Googlebot will not index the page properly. Hence you should carefully choose what resources need to be blocked. For WordPress users, it is just a matter of another plugin. You can install AMP for WP – Accelerated Mobile Pages plugin. This plugin is more useful than any other plugin used for AMPs. All the URLs that are not indexed by Googlebot, will be shown in the Crawl Errors section. If you have updated a page/post URL recently, unpublished an article on your site, or worse, caught in a plagiarism, the URL will be listed as 404 not found page. This could be fatal if the URL is linking to other posts or even other external sites. To see the associated links with the URL, select a URL and click on ‘Linked from’ tab, as shown in the screenshot below. You can see the list of links that the URL is linked to. To solve this, you need to do a 301 redirect to the updated link. You can make use of a free WordPress plugin like Redirection. Once you have done a 301 redirect to the desired URL, you can open the crawl error list, click on the required URL and Mark as fixed. Also, make sure you fix URL errors for both desktop and smartphone. If you have an eCommerce store, there is no need for me to remind you that how important is making your website mobile-friendly. As more than 50% of shoppers make use mobile devices, it is increasingly demanding to make your site mobile-first. We all know how Amazon took shopping to a whole new level with Amazon Go. With the effect of digitization, others will follow new methods for mobile payments as well. 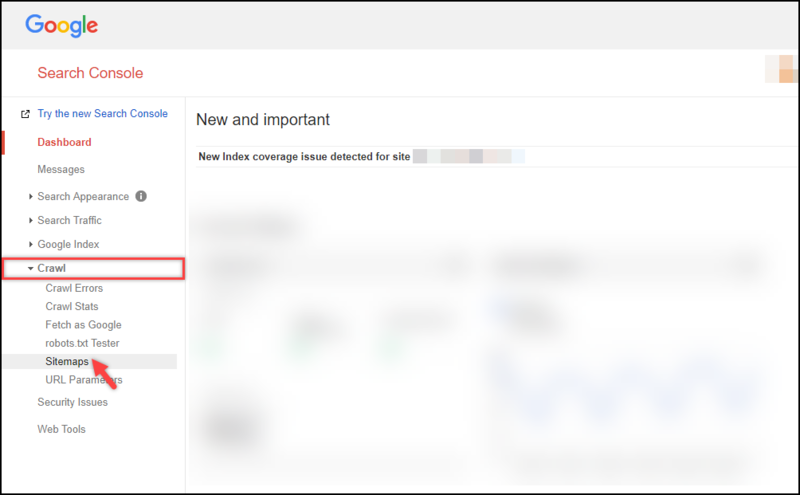 If you have performed any of the above steps discussed in this article or made changes in any way, it is important to let Google know for it to index the updated content of your website. Although Google takes its own time to index your site, there is one way you can make this happen real quick. To do this, from the left sidebar menu, go to Crawl > Fetch as Google. You can leave the URL section blank to render your homepage or specify a URL which you have recently updated, and click on FETCH or FETCH AND RENDER button option. While the former fetches the specified URL without images and scripts, the latter renders all the associated resources, including images and scripts, based on a specified platform(desktop or smartphone). Once the request fetch status is shown, click on the request indexing option. 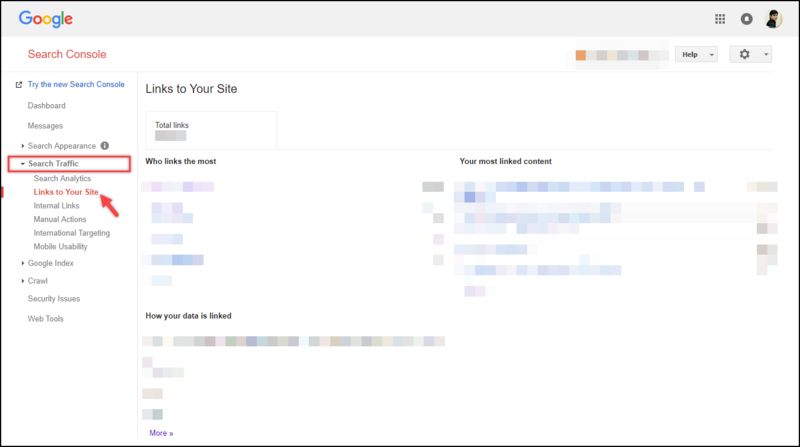 This helps notify Google that you have updated content that needs to be crawled. Tip: Go to ‘Crawl Stats’ section to see when your site was last crawled. You can view other associated crawl statistics as well. Rich Results (previously known as Rich cards) are a distinctive way to display the structured data of your website. If your website contains important events information, products, how-to tutorials(like food recipes) and so on, rich results increase your chances to engage users with relevant search results. Basically, they help display content in a visually appealing fashion that focuses on providing a better mobile user experience. For example, I did a simple Google search to find information on the next WordPress Meetup happening in the United States. 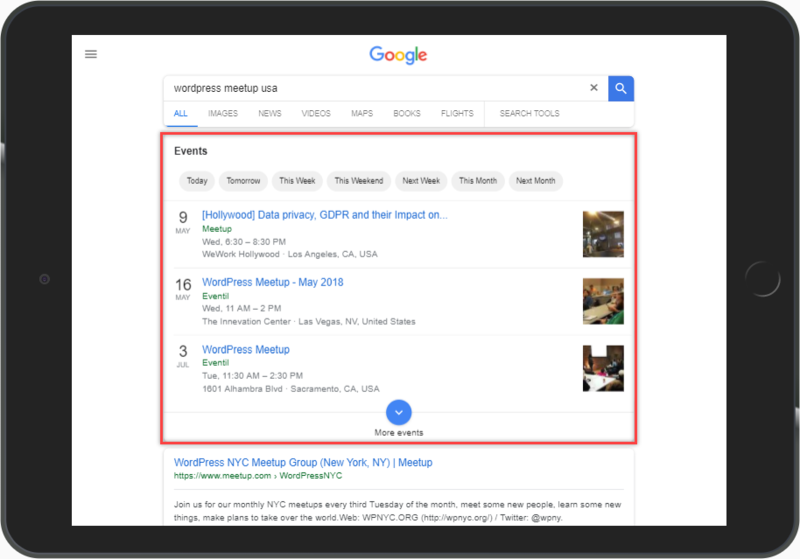 Notice the event date and related information presented in the Google search results in the following screenshot. 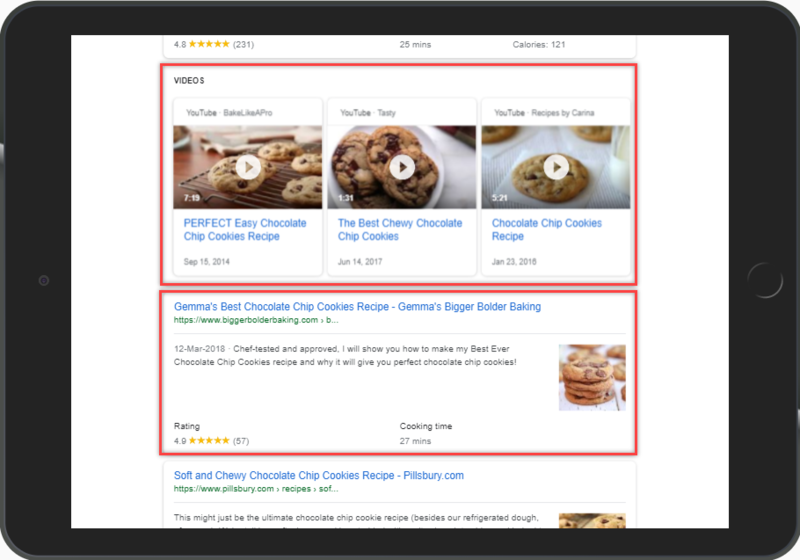 Another Google search for ‘chocolate chip cookies recipe’ shows search results that also includes related videos in a carousel, as shown in the below screenshot. But how can you make this happen for your search results? To do this, your website needs to have a proper schema.org structured markup to create rich results. To get started, click on Get started with Rich Cards button. You are redirected to a Google guide that lists types of rich results you can create. You can read required guides to customize your content for Rich results. You need to incorporate the given code/script on your website. There are also WordPress plugins that help you create schema markup for your website. Hence making your job a lot easier by not letting you touch the code. There are free as well as premium plugins available in the market. 1. Schema: This free plugin adds schema.org structured data markup in recommended JSON-LD format automatically to your WordPress site. 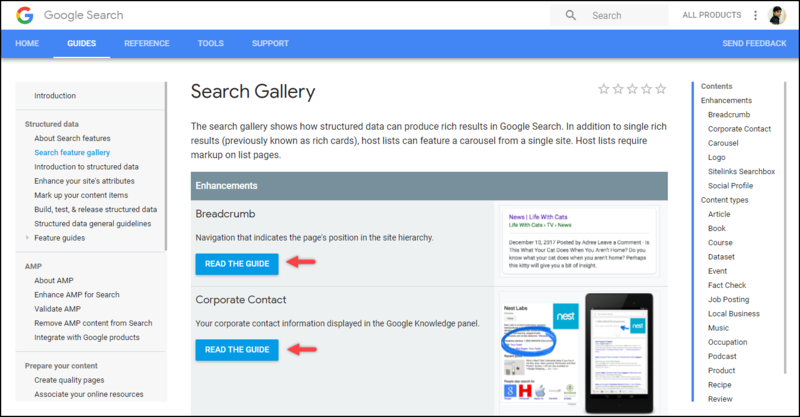 The plugin supports schema markups like Knowledge graph, Sitelinks, Creative Works, Blog, Breadcrumbs List, Collection page, Contact page, About page, Author, VideoObject, and AudioObject. The plugin also supports popular plugins like Yoast SEO, AMP, WooCommerce, Visual Composer, The SEO Framework to name a few. 2. All In One Schema Rich Snippets: This free plugin supports schemas for reviews, event, people, product, recipe, software application, video, and articles. The developers are also working on to include Breadcrumbs list, Books, and Local Business support. 3. Schema Pro: This plugin supports schema types like reviews, local business, articles, service, product, course, recipe, person, job postings, software application, book, and events. The plugin is implemented using JSON-LD, which is highly recommended by Google. 4. Rich Snippets WordPress Plugin: Just like most of the plugins, this plugin also supports products, events, local business, restaurants, recipe, article, reviews, movie, and video. There are quite a few customizations that this plugin provides, which are not there in other plugins. Scheme plugins by RankYa: If you are looking for schema markup for only Local business SEO, YouTube videos, or Sitename, RankYa provides custom free plugins for each case. Check this link for more related plugins. There is no magic formula for getting high ranking in Google SERPs. But you can follow few standards and practices to increase your chances. Hence, follow the key points that I have discussed in this article. 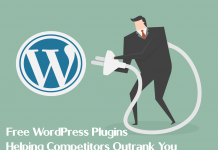 As opposed to other other platforms, WordPress has a lot of useful plugins that help in every aspect of website development, maintenance, customization as well as optimization. You can try out solutions that work best for your website. Also, do not try to trick Google, as your site might get banned and lose all chances of being in the search results. Hence follow Google Webmaster Guidelines properly. You can continue exploring LearnWoo for more amazing articles. For more information on building, submitting and various formats of sitemaps, refer this Google document. Official Google blog for Rich Cards. Previous articleTidio Live Chat – Much more than a live chat service! Next articleHow to hide Price range for WooCommerce Variable Products?